Longlife Steel Buildings provides top quality pre-engineered buildings for almost every application. Whether you are in need of a steel garage or metal building kits, Longlife has a model that’s right for you. Our straightwall and Quonset buildings are accurately designed by skilled engineers to match project specifications and manufactured with rigid quality control standards. The steel arches and end walls are made of heavy gauge Galvalume steel in the USA with only 100% American steel and are simply designed for fast do-it-yourself construction. Are you interested in a Steel Building Price? Get a FREE Quote Today! Our buildings are designed to meet your specific needs. Listed below are just a few of the different applications that our prefab steel buildings may be used for. We provide steel storage buildings designed to meet our customers’ specific needs and have been used for a wide array of uses ranging from airplane hangars, to boat storage and farm equipment or machinery storage. With our flexible design, you can choose from sizes of 10 to 120 feet wide making them ideal for prefab agricultural buildings. At Longlife we have a storage building kit to meet almost every need. Longlife offers a wide selection of Residential Steel Garages with popular affordable models ideal for storing one, two and even three cars. 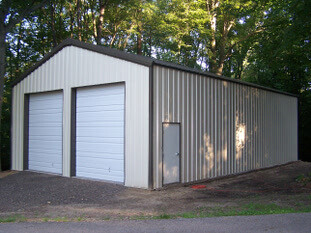 We also provide steel garage for RV storage, backyard workshops, garage apartments, mechanic bays and much more! Our easy to assemble do-it-yourself building kits come with simple quick-build instructions that will guide you in the construction and save you thousands in labor. 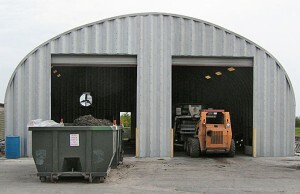 We aim to provide the best selection of metal arch style buildings for all our customers’ size and use requirements. For those that require a medium sized or small metal buildings, the special design of our P-line and A-line models are great for workshops, storage sheds and boat or RV garages. The flexible design and economical pricing of our S-line and Q-line quonset buildings allow up to 120 feet width, any length and can be customized to match each customer’s specific application requirements. If you are a Government agency or an Industrial, Commercial or manufacturing company and need a building within days on an urgent deadline, Longlife can fabricate and ship Quonset hut buildings on an expedited schedule. Portable or small arch steel buildings can be custom made in any size for pump shelters, well covers, barge buildings, waste storage, conveyor covers and any other special application or site condition. Our technical service department can help solve your building needs, you are our priority. Our efficient professionally trained sales and customer service departments offer invaluable assistance to successfully complete your building project, providing you with reliable prefabricated buildings to be proud of that will be maintenance free for years to come. Longlife stands behind its products with an industry leading 35 year non-prorated warranty backed by the steel mill. Over 55,000 steel buildings manufactured by our factory have been erected in the US alone. We also ship our metal garage buildings worldwide and have provided prefabricated buildings solutions for private and Government projects in 5 continents and 33 countries. Whether you are planning to build metal pole barns to house equipment and machinery, commercial buildings for a warehouse, or backyard steel workshop buildings to complete your home renovation projects Longlife will provide you with the most durable alternative at a price you can afford! Be sure and check out the specials page for some buildings for sale on clearance with huge savings. Simply call us or fill out the online quote form for an online price quote and describe how you will be using your building. A Longlife representative will work with you to create an arch style building to fit your budget, style and all your specifications. Don’t think you can be a builder? See just how easy Longlife Steel Buildings makes it.